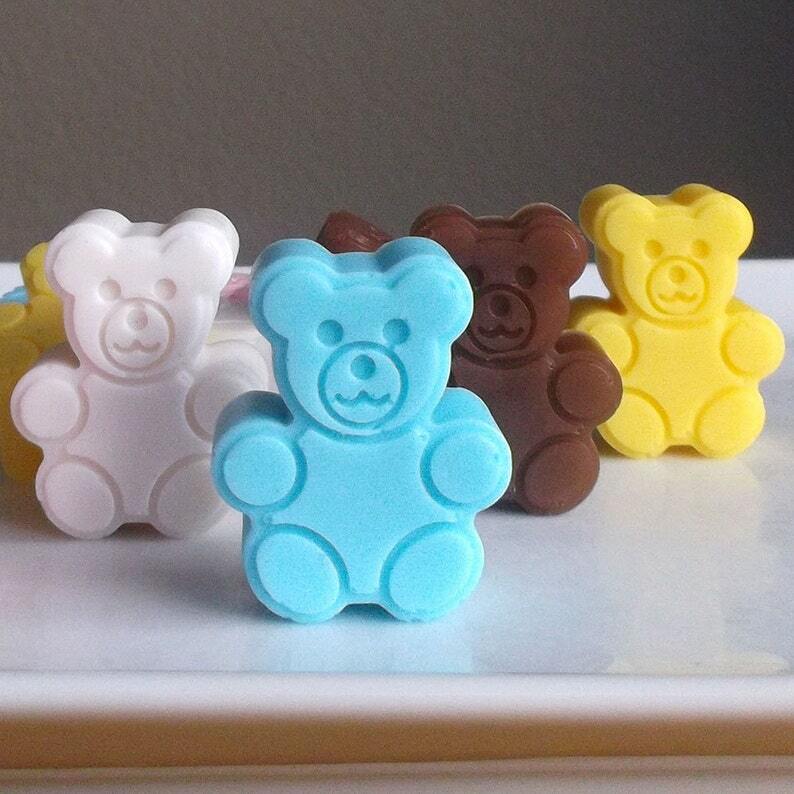 Teddy bear soap favors are perfect party favors for a teddy bear baby shower or a teddy bear birthday party. Teddy bear party favors are unique, will add to your decor, and are sure to be a hit at your teddy bear baby shower. Includes favor tags. Ingredients: Glycerin (kosher, of vegetable origin), Coconut Oil, Palm Oil, Safflower Oil, Purified Water, Sodium Hydroxide (saponifying agent), Sorbitol (moisturizer), Sorbitan oleate (emulsifier), Oat protein (conditioner), Fragrance, Titanium Dioxide, Iron Oxide, Mica. May contain FD&C/D&C colorants.